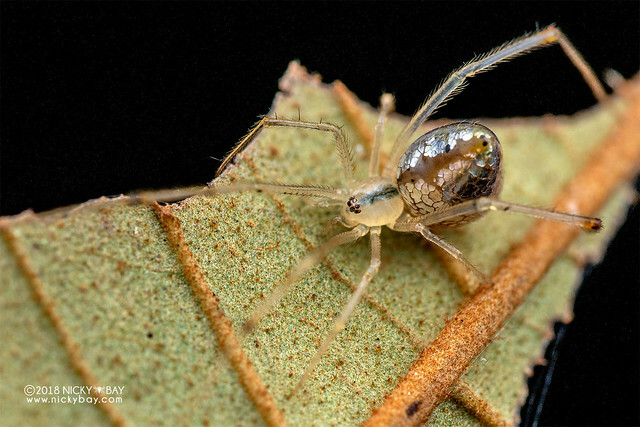 For several years, I have been observing the odd behavior of the Mirror Spider (Thwaitesia sp.) 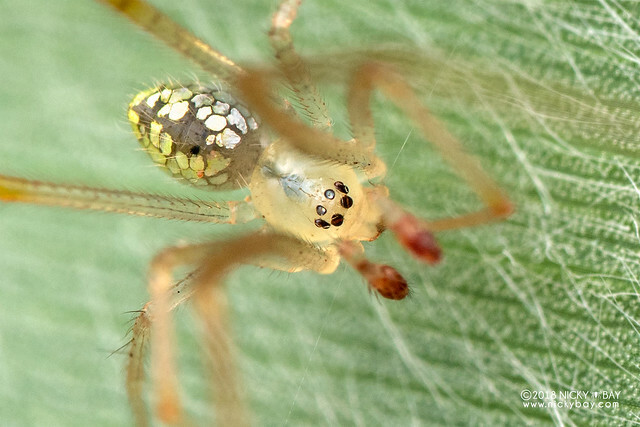 where the "silver-plates" on the abdomen seem to shrink when the spider is agitated (or perhaps threatened), revealing the actual abdomen. At rest, the silver plates expand and the spaces between the plates close up to become an almost uniform reflective surface. 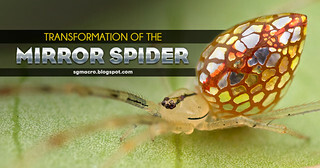 That is why I called it the Mirror Spider. 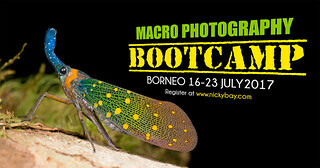 Note that what I am posting are just field observations and not based on scientific literature. 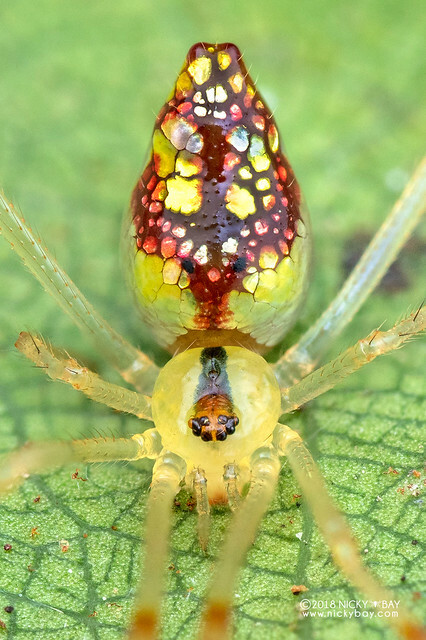 Note: There is a version of my photo that is being re-distributed on the internet with the watermarks willfully removed, and captioned as Sequined Spider or Australian Stained-Glass Mirror Spider (Thwaitesia argentiopunctata). 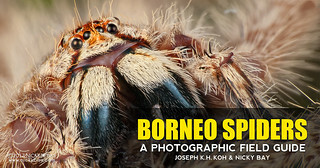 Note that there has not been any confirmation of the ID, and that this spider was found and shot in Singapore. 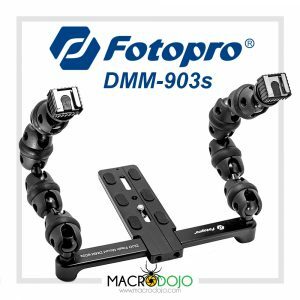 Re-distribution of the photos without authorization is not allowed as they are copyrighted - DMCA takedown notices have been issued for unauthorized usage. 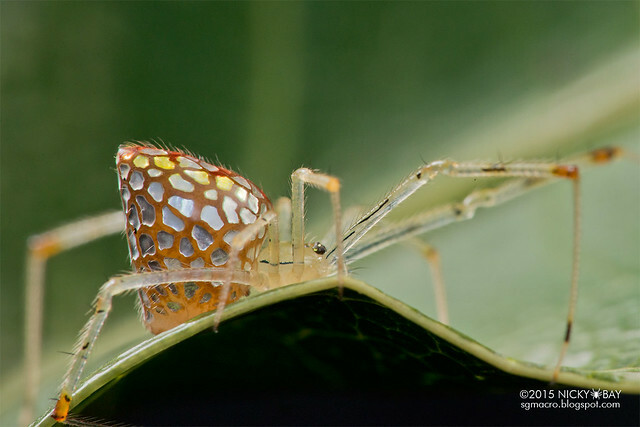 A female Mirror Spider (Thwaitesia sp.) 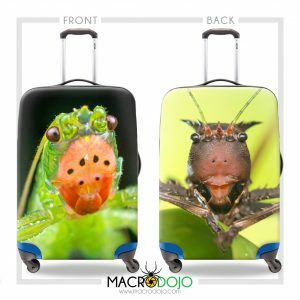 when on the move. 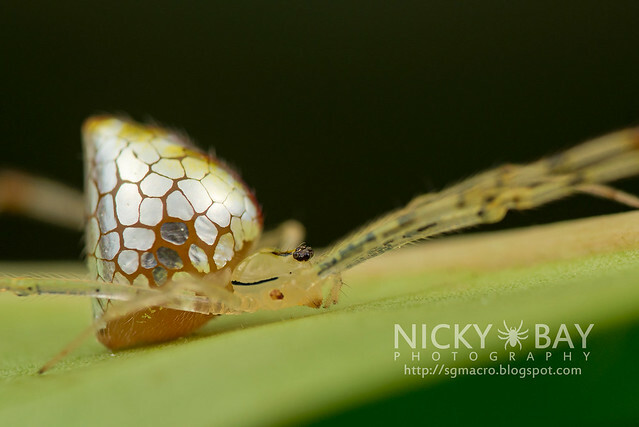 Note that the silver plates on the abdomen are relatively small and spotty. Although I'm using the term "silver plates", they could actually be guanine crystals. 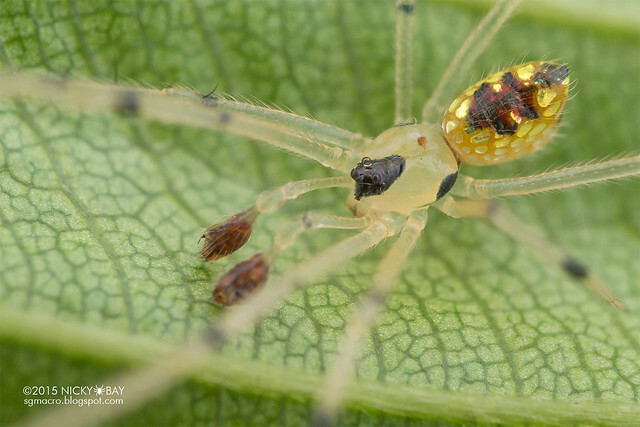 Posterior view shows that the silver plates pretty much covers its entire abdomen. 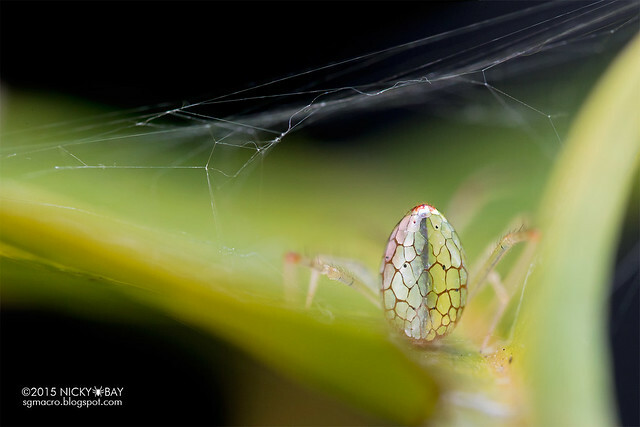 When it stops to rest, the silver plates appear to expand, filling up the abdominal surface slowly. 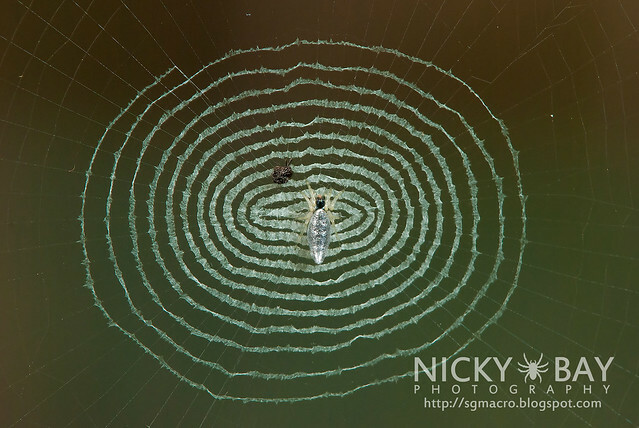 From above, the spider looks like an art work of stained glass! 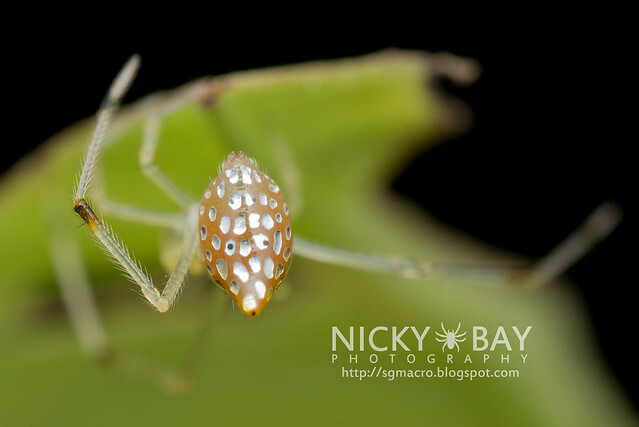 After an hour, the silver plates expanded to fill almost the entire abdomen! This was the closest I got of the silver-plates at their largest. 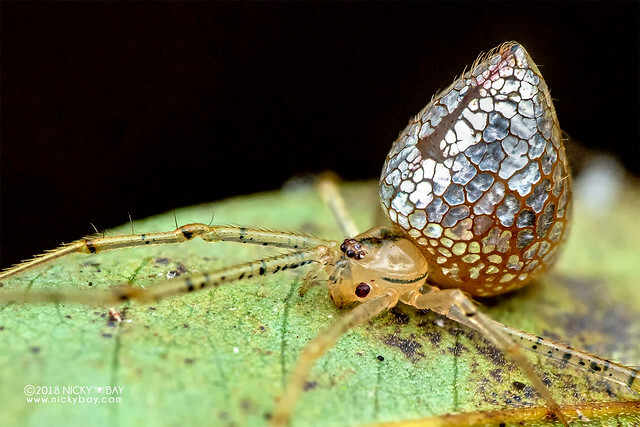 This mirror spider (Thwaitesia sp.) 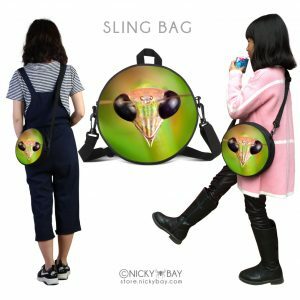 is indeed fascinating! Posterior view, showing the tight arrangement of silver plates. View from above shows a beautiful stained-glass mirror-like surface! 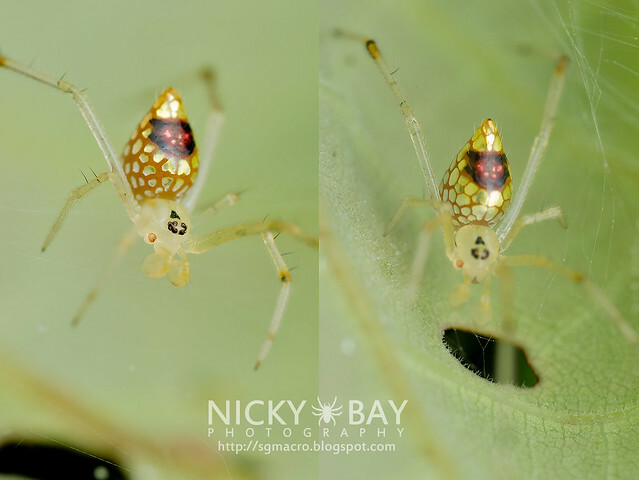 Side-by-side comparison of the same sub-adult male mirror spider just minutes apart. The plates appear to be gold rather than silver. I also made a feeble attempt at animating the change in size of the silver plates, but it was really difficult. 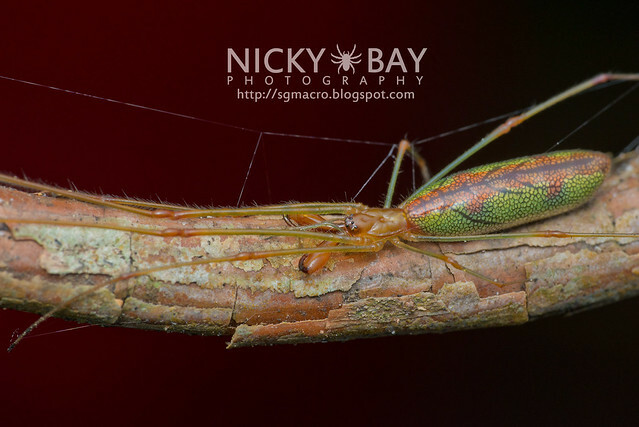 Another attempt from the dorsal view. After many attempts on various occasions and different specimens, I finally got a decent animation of the expansion/contraction effect! 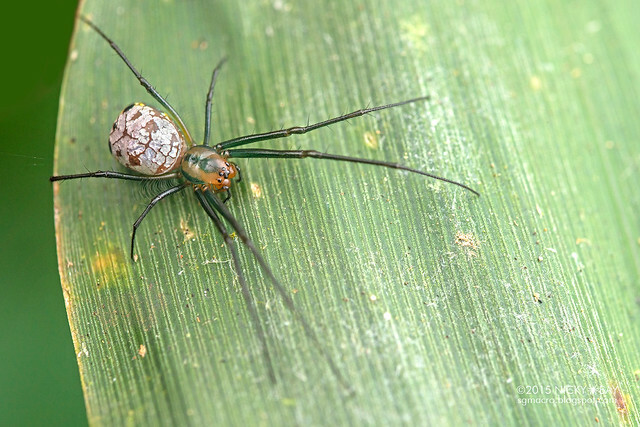 This is how the mature male looks like for the species found in Singapore, with distinct black patches forming over its ocular region and lateral edge of the cephalothorax. The male shares similar behavioral characteristics with respect to the expansion of silver plates. This particular specimen appears to have silver plates. 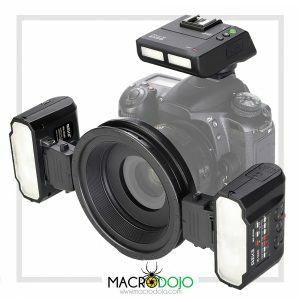 It is not known if this varies across individuals. 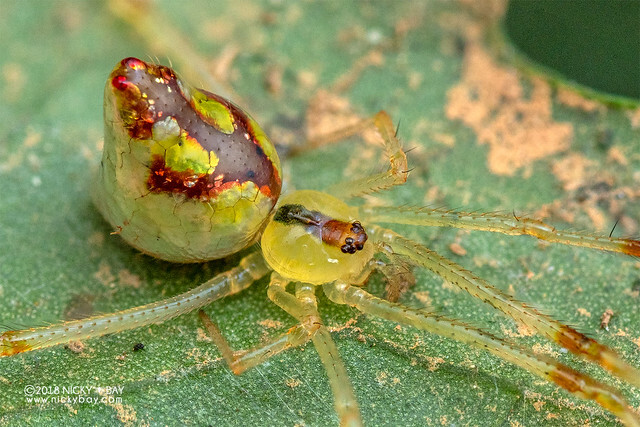 When I visited the Peruvian Amazon in 2015, I also found several mirror spiders with a green abdomen. 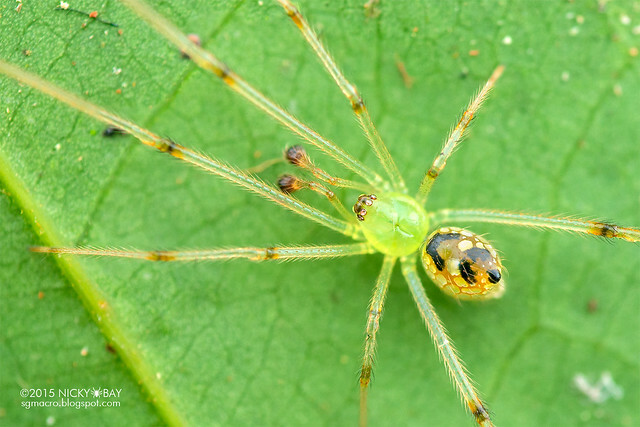 The male was also green, with additional black patterns on its abdomen. 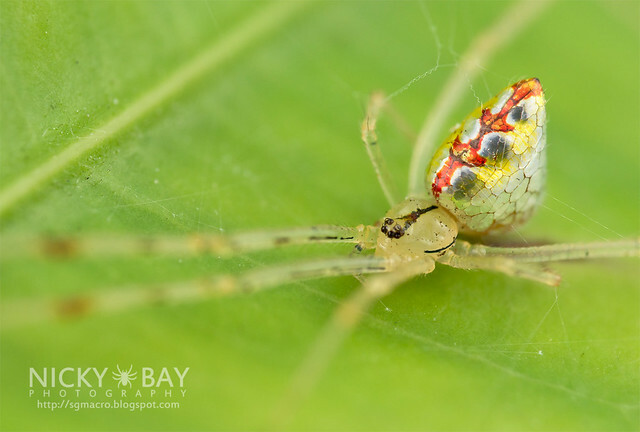 Another male, but this had a dark green lateral lining at the edge of its cephalothorax. 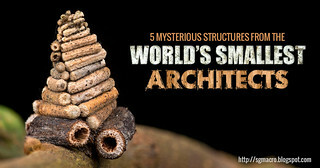 In Mozambique, I found this large female with cauliflower-shaped plates. 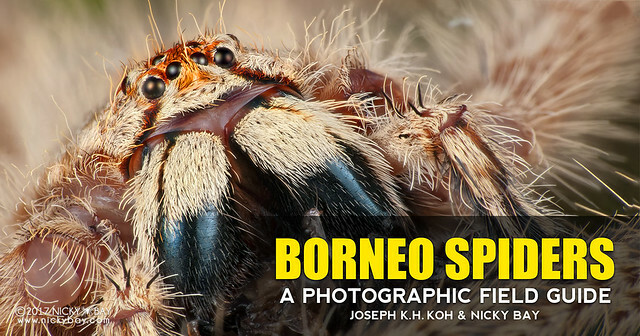 Interestingly, this did not exhibit any kind of contraction nor expansion of plates like the one from Singapore. 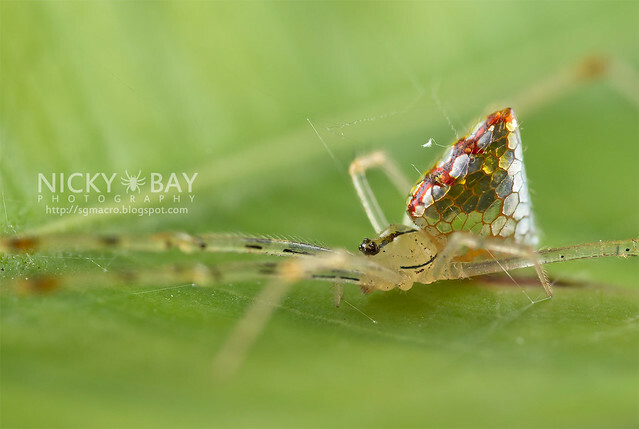 I also saw some mirror spiders from Madagascar in 2018. Most of them had a longitudinal red median band with an extended transverse band curved towards the back. 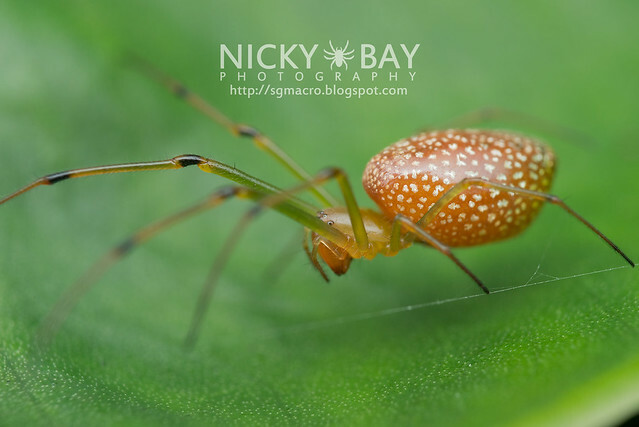 The posterior tip of the abdomen also has two distinct red or black knobs. 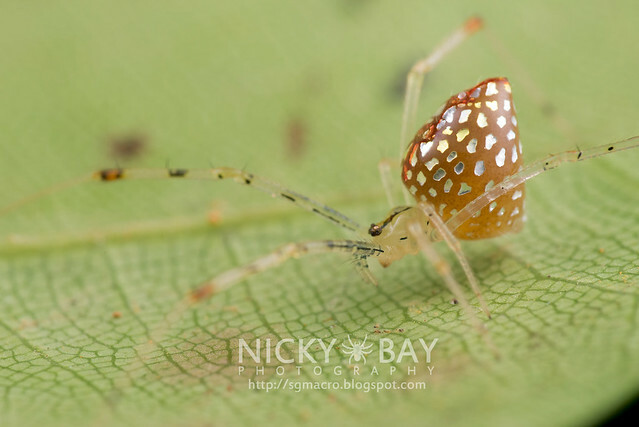 This specimen is also from Madagascar, but does not have the two knobs on the posterior tip of its abdomen. 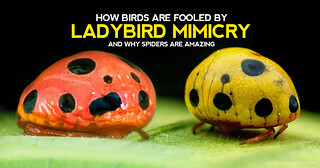 Instead, there are two black spots. 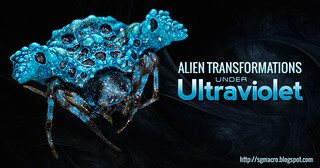 The silver plates of this species appears permanently expanded, resulting in an almost seamlessly mirror-like surface on the abdomen. The lateral view shows the thin lines separating the silver plates. 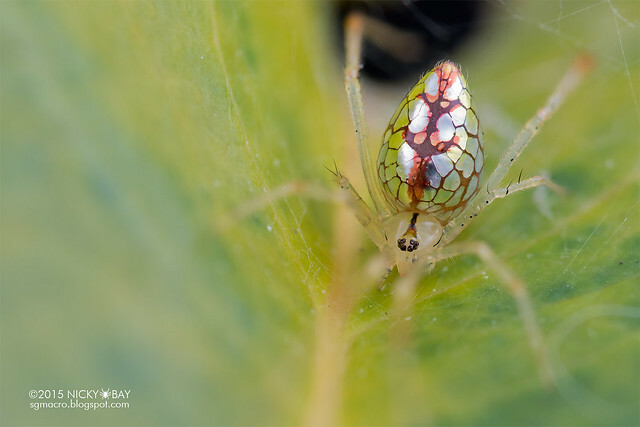 This could be the mature female of the above specimens from Madagascar, but with what looks like a wider area of "stained glass". 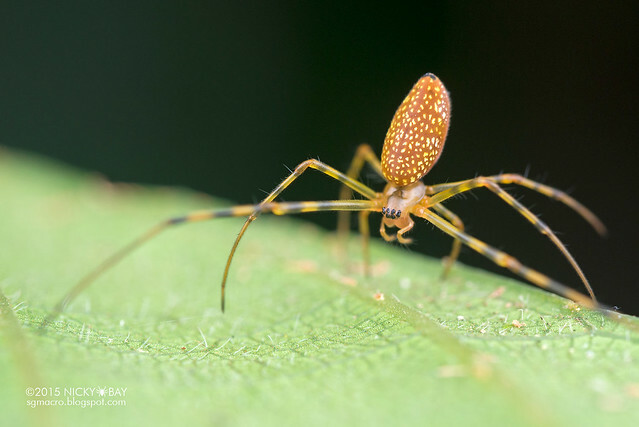 I managed to find the male Thwaitesia from Madagascar as well. 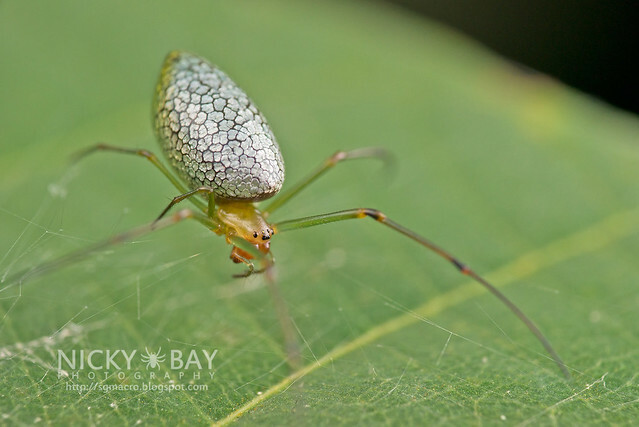 This has a much smaller abdomen which also lacks the pair of posterior knobs. 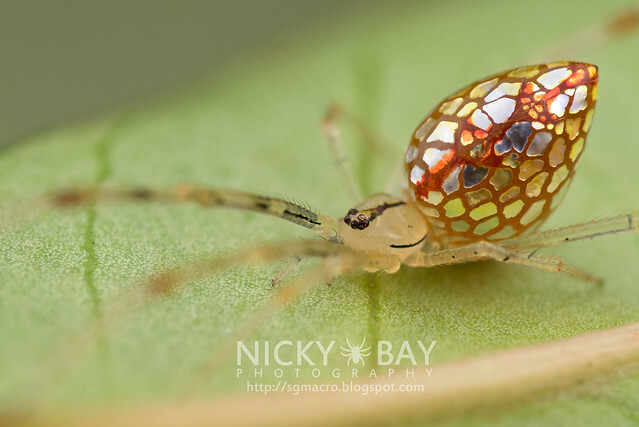 Occasionally, I get asked if this mirror spider is the only one with reflective abdomens. The answer is a clear no. 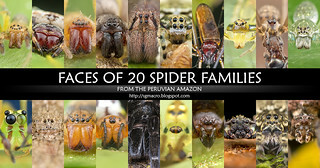 Here are some examples of spiders with similar silvery abdomens, and some appear to possess similar expansion behavior as well. 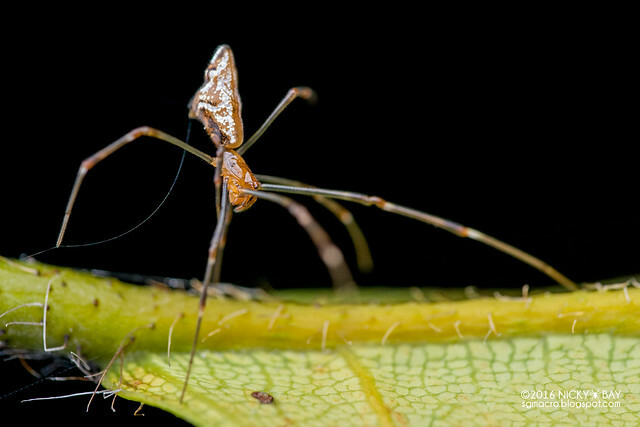 Mesida belongs to the Tetragnathidae family of big-jawed spiders, appears to possess a silvery abdomen. Another Mesida, this time with shrunken silver plates. The plates are really tiny sometimes, and appear gold in some instances too. 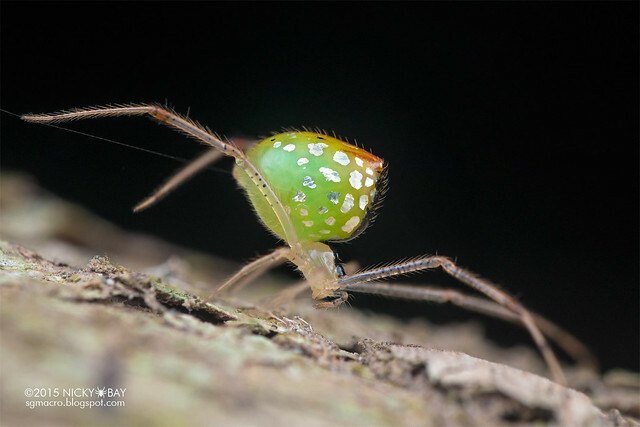 Silver plates can also be observed in some species of Leucauge, with some more prominent than others. 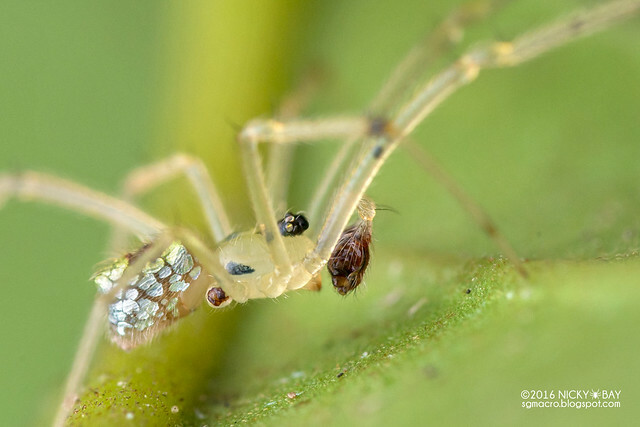 In fact, the abdominal micro-plates can be seen on several other genera of Tetragnathidae, and often in various colour forms other than silver. 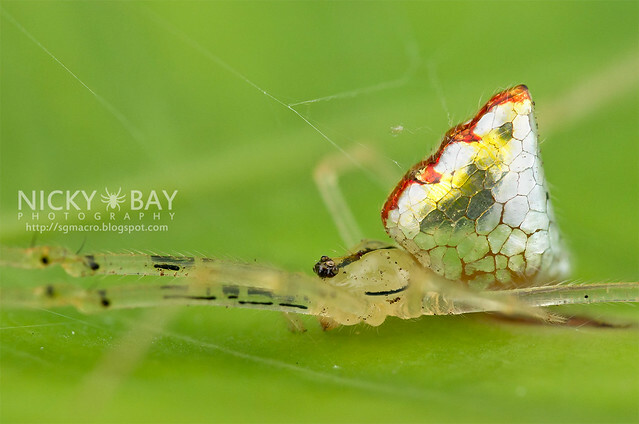 Some species of Argyrodes have their abdomens partially covered with silver plates as well. 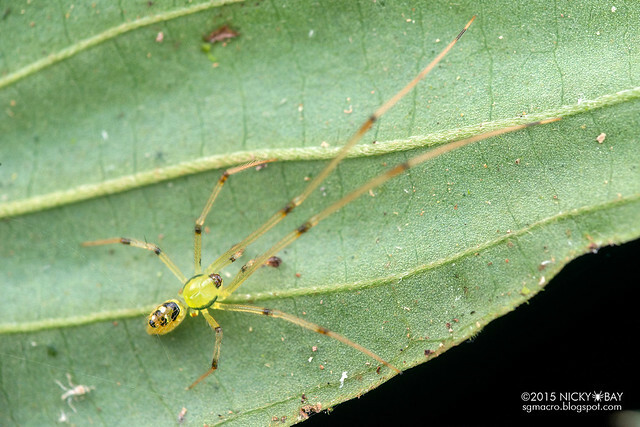 They are kleptoparasites and are commonly found on the webs of other larger spiders to steal their food, especially Nephila sp. 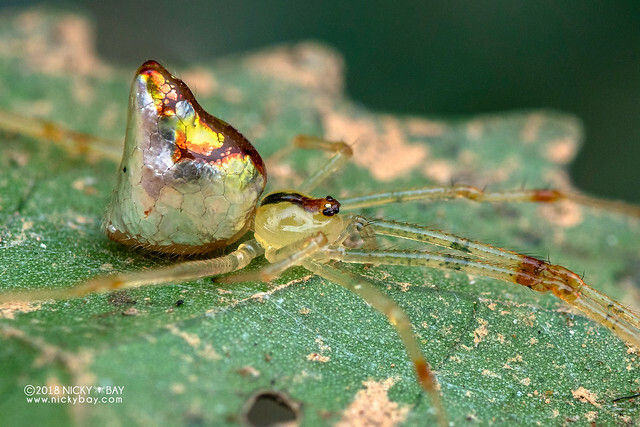 In Mozambique, this Argyrodes is commonly called the dew-drop spider. 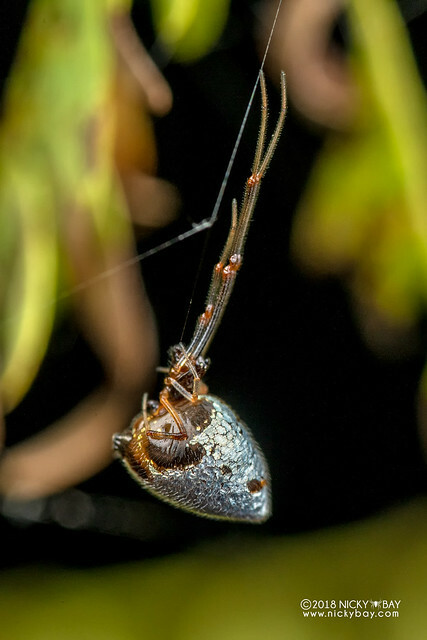 Some species of Cyclosa have their abdomens almost completely covered with similar silver-like surfaces. 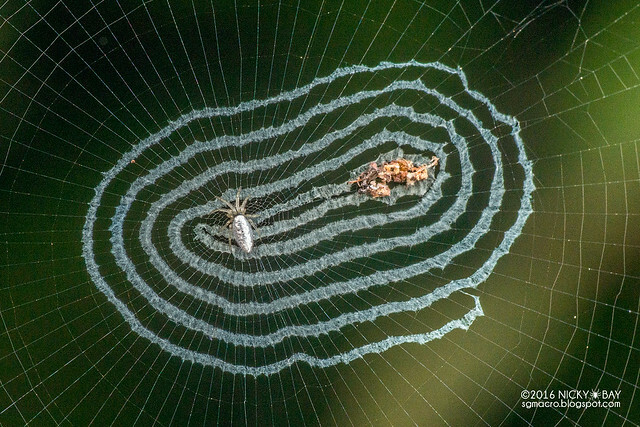 These Cyclosa have been observed to weave beautiful stabilimenta on their orb webs. 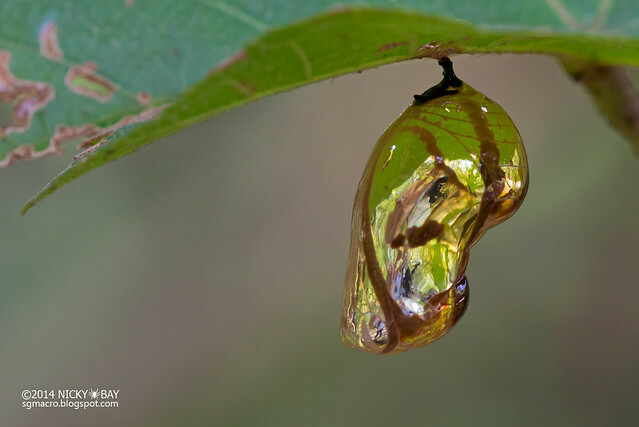 Slightly off topic but still on the reflective surfaces in arthropods, here's the chrysalis of the milkweed butterfly. See if you can spot me in the reflection! 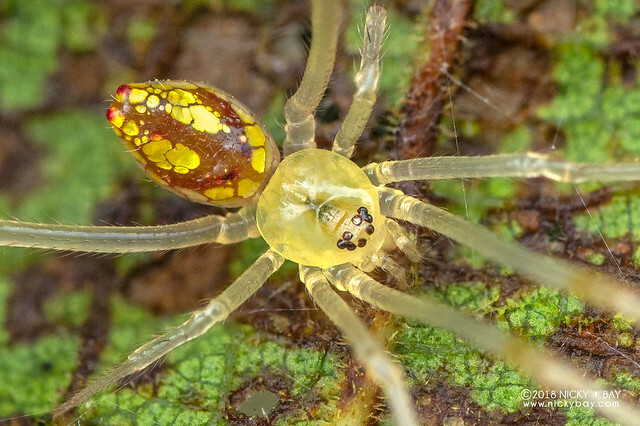 Do you have more photos of spiders with reflective abdomens? Please share them in the comments below! More photos of the mirror spider can be viewed here.